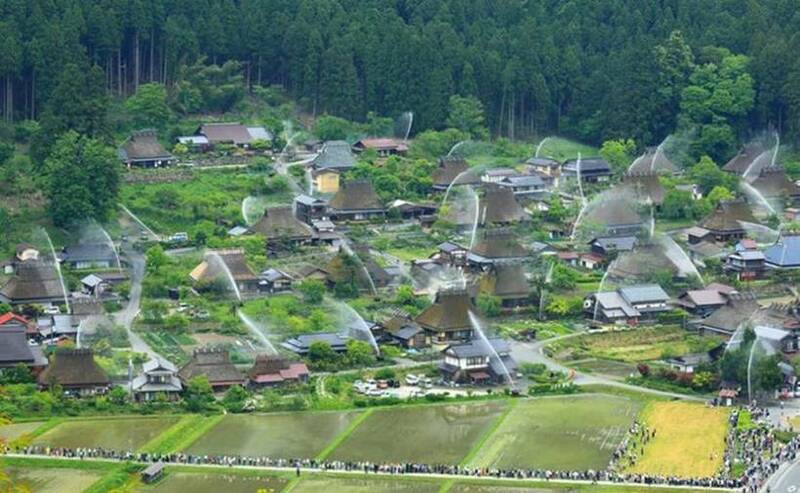 An impressive sight is observed twice a year, every May and every December, in a traditional village of Japan, Kayabuki-no-Sato. Fire extinguishers tested if they are operating properly are located in small huts that open in the event of a fire. 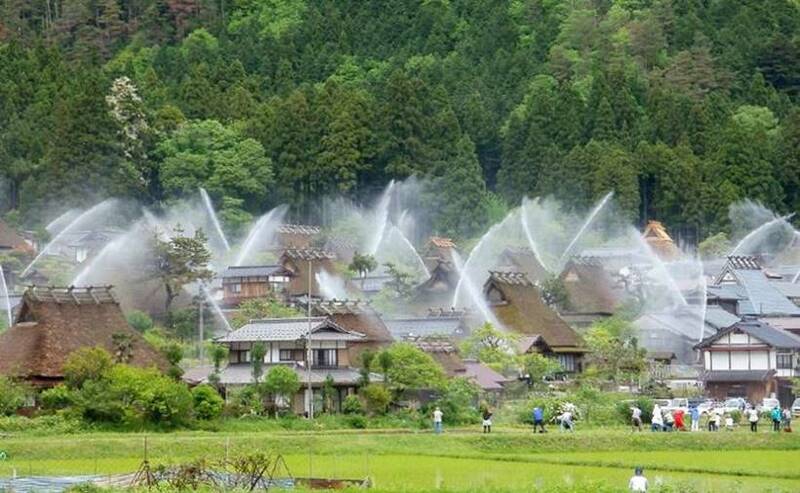 Kayabuki no Sato is known for its traditional farmhouses with its rooftops, which are covered by greenery, making it an important cultural asset. 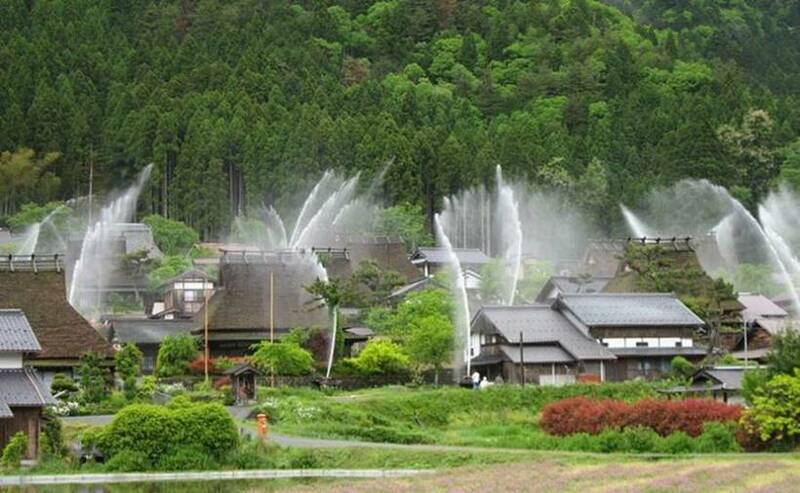 Because homes are vulnerable to fire, In 2000 May Miyama folk museum was destroyed by arson, twice the fire training for the purpose of inspection of fire protection water cannons a year, has been held in spring and autumn . In order to maintain the authenticity of the landscape, the officials decided to camouflage the 62 fire extinguishers within the small huts. When activated, the huts open and the "cannabis" spray the farmhouses with water. The systems are tested twice a year and guests are welcome to watch the spectacle.